Every songwriter wants to compose a song that people sing along with as soon as they hear it. The most ambitious may even want to write a song that lurks in everyone’s subconscious until it pounces to get stuck in your head on a skip loop for a few days. What makes a good song work are two things: familiarity and predictability. This is established by creating a thematic ‘home’ with a repeated motif. A song maintains the interest of the listener by leaving home and then returning to it. In songwriting, the home that is established is the chorus, the verses are the repetitive leavings, and the bridge is more like an extended vacation. There will always be exceptions, but in general, a chorus is typically repeated 2 to 4 times and often serves as the song’s title. You may have also heard of the term ‘hook’. The hook is usually contained in the chorus, and is often the part of the song the listener remembers after the song is over. No matter how badly you mess up the verses when singing along with the radio, you nail the hook every time. It’s the “Sweet Caroline” in Neil Diamond’s Sweet Caroline, the “And I’m free, free fallin’” in Tom Petty’s Free Fallin’, or more recently, the “I keep on hoping we’ll eat cake by the ocean” in DNCE’s Cake by the Ocean. The hook for a song can also be found in verses, but that’s less common. Think of the “Hey, man” at the beginning of every lyric in the verses of David Bowie’s Suffragette City. It’s a clever way to keep you actively engaged in the verses for a song that has a fairly wordy chorus. It’s more clever because the “Hey, mans” are on the same chord as the first line of the chorus. And you thought it was just catchy. The verses are the parts of the song that tell the story; a song with three verses is set up perfectly to have a three-part narrative with a beginning, middle, and an end. The verses have the same melodic and rhythmic theme, but the lyrics change and evolve. Clever lyricists sometimes pick a word or a line to repeat but use it in a different context in each verse. In the example above, notice that the bridge comes after the second chorus. There’s a reason for that. A bridge is the part of a song that serves to break up the Verse – Chorus – Verse - Chorus sequence. Because a pattern has been established, the listener will be anticipating another verse after the second chorus. Diverging from this pattern toys with the listener's natural inclinations toward pattern recognition—hearing something unexpected a couple minutes in keeps the song fresh. And architecturally speaking—bridges are for taking us to new places, right? This makes the bridge a great place to add a key change or a shift in lyrical theme. If you’re writing a song about a sad topic but want to add a glimmer of hope, placing this positive sentiment in the bridge allows you to shift the lyrical tone simultaneously with the musical tone. It also provides room for a harmonic build up or climax that will get the crowd going during a live performance. The great news for modern songwriters is that there have never been more tools available to help you be creative with your art and assist you in honing your craft. Studio One Professional now offers a few invaluable tools that will allow you to play with your song’s style and structure until you have crafted the perfect three-chord opera. 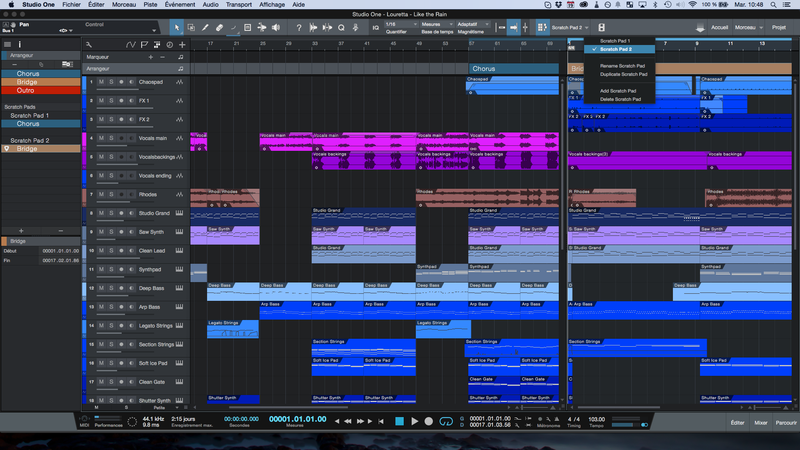 The Arranger Track in Studio One Professional lets you do just what its name implied: arrange and rearrange your song. We know that creating music is a dynamic, living process. Arrangements change, chords shuffle. Space opens up for solos or closes to tighten up the song. Inspiration strikes in the middle of the night, and your creativity pursues an entirely new direction. It’s all part of the art of songwriting and composition. The Arranger track is a simple, intuitive way to move around song sections. 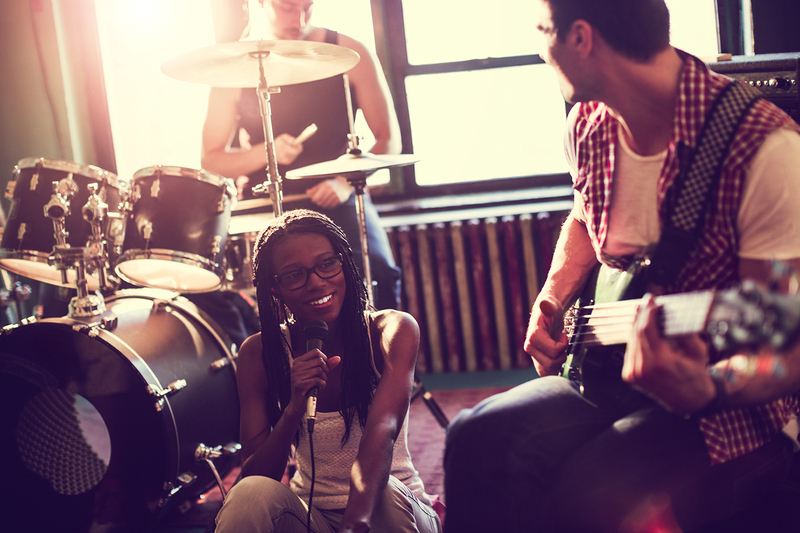 Try out different arrangements, swap sections, lengthen or shorten solos, and structure a song exactly the way you want. When you insert a new section in the middle of a song, Studio One automatically inserts space for the new material and then closes the arrangement around it. 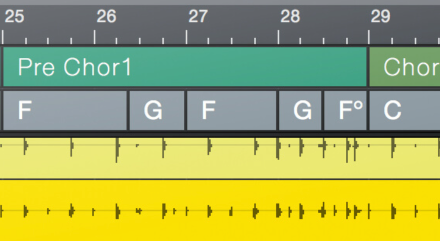 And when you cut out a section of a song, Studio One closes the cut portion automatically so you can move on to your next idea. Studio One also pioneered Scratch Pads so you could test changes without disturbing your existing arrangement. A Scratch Pad lets you drag out any part of your song, create multiple options, and then audition them without destroying your work. This gives you the freedom to explore varied lines of inspiration without risking the original idea. Insert an instrument and start playing. When you come up with something you like, drag it to the Chord Track, which automatically detects and shows the chords you played. 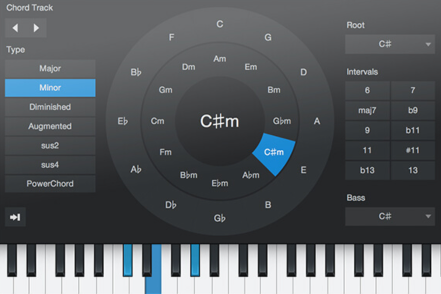 Now you can have subsequent parts conform to the Chord Track or change the Chord Track at any time; the rest of the arrangement follows these changes. Drag chords around. Substitute chords to see if they sound better. Split off an independent bass note from chords. Export chords to Notion 6.4 for effortless lead-sheet creation and printing. Even use Harmonic Editing to smash creative blocks and inspire you with new ideas. The most important thing to keep in mind is that songwriting is ultimately a craft. And like all crafts, you get better with practice. So, be creative; experiment with structure. 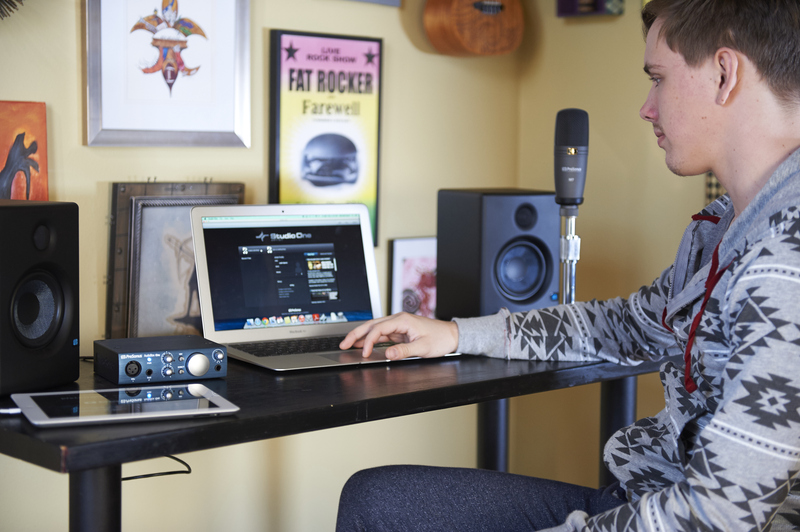 Studio One Professional gives you all the tools you need to hone your craft and let your voice be heard.